Brunei Darussalam celebrates a national holiday. Located on the island of Borneo, it became free of British rule in 1984. This small country (according to the CIA World Factbook, slightly smaller than Delaware) is governed by a sultan, Hassanal Bolkiah. Extremely rich deposits of oil have made Brunei a wealthy country. Around 400,000 people live in the country, and the capital is Bandar Seri Begawan. Guyana celebrates Republic Day. Various European countries laid claim to the country, located on the northeastern coast of South America. According to the CIA World Factbook, Guyana is about the size of Idaho. Because the country has a tropical climate, inhabitants grow sugar, rice, and timber. It also exports gold and bauxite. Over 700,000 people live in Guyana. Georgetown is the capital. 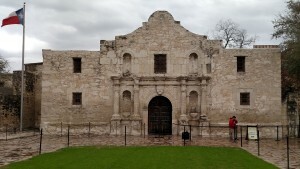 Battle of the Alamo started in 1836 and ended March 6, 1836. The causes of the battle was quite complex: Americans fighting in a mission in an area that was Mexico but is now Texas. Children can read more at: Battle of the Alamo. 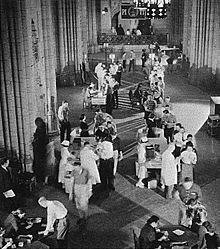 First mass inoculations of Salk polio vaccine took place in 1954. Polio was a terrifying disease affecting thousands of children. Jonas Salk’s vaccine brought relief for families around the world. To understand more about polio’s devastation, children can read Peg Kehret’s excellent autobiography, Small Steps: The Year I Got Polio. George Taylor, a signer of the Declaration of Independence, died in Easton, Pennsylvania, in 1781. He was born in Ireland, probably during 1716. He also helped the cause of the Revolutionary War because his forge produced grapeshot, cannonballs, and cannons. Idea: Children could find out how grapeshot and cannonballs were made. C. S. Adler (born Long Island, New York, 1932) has written 44 books for children. Her books include The Magic of the Glits and No Place Cat. Children can visit her website at: C. S. Adler. W. E. B. Du Bois (born Great Barrington, Massachusetts, 1868; died Accra, Ghana, August 27, 1963) was a famous African American leader striving for equality. A professor, activist, and author, he was one of the co-founders of the NAACP. Children can read many of his works at: Project Gutenberg. Also, children can learn more at: W. E. B. Du Bois. George Frederick Handel (born Halle, Saxony, Germany, 1685; died London, England, April 14, 1759) was a composer of Baroque music. One of his best known works is Messiah, first performed in 1742. Walter Wick (born Hartford, Connecticut, 1953) is a photographer and author of children’s books. He is most known for his I Spy series and his Can You See What I See? series. Children can visit his fascinating website at: Walter Wick.